Rite Aid Corporation (RAD) released its quarterly earnings report on Thursday, September 27. The drugstore chain reported increased revenue and announced plans to restructure its board of directors. Rite Aid reported quarterly revenue of $5.42 billion. This is up from last year's second quarter revenue of $5.35 billion and is above the $2.25 billion that Wall Street predicted. "During the quarter, we have been hard at work accelerating our standalone strategy to capitalize on key opportunities to grow our business," said Rite Aid CEO John Standley. "These efforts helped us drive significant improvement in front-end and pharmacy comparable stores sales and exceed our plans for script count growth." The company announced an earnings loss of $352.35 million for the quarter, which is less than earnings of $188.36 million one year ago. On an adjusted earnings per share basis, the company posted a loss of $0.01 per share, which was in-line with analysts' estimates. On Thursday, Rite Aid announced that it plans to reshuffle its board of directors by adding three new independent directors. In addition, the company will be separating the positions of Chairman and CEO. With this change, John Standley will retain his title of CEO while board member Bruce Bodaken will become Chairman. The company hopes that the changes will add new perspective and strengthen the board's governance. Rite Aid Corporation (RAD) shares ended the week at $1.27, up 0.8% for the week. Carnival Corporation (CCL) reported quarterly earnings on Thursday, September 27. The cruise ship operator posted better-than-expected revenue and profit but posted earnings projections that fell short of expectations. Carnival announced revenue of $5.84 billion for the third quarter. This is up from revenue of $5.52 billion reported in the same quarter last year and above the $5.81 billion in revenue that Wall Street expected. "Strong execution delivered the highest quarterly performance in our company's history, overcoming fuel and currency headwinds," said Carnival CEO Arnold Donald. "At the same time, our strong cash flow and balance sheet enabled us to accelerate our opportunistic share repurchase program, investing almost $750 million in Carnival stock since the beginning of the third quarter, bringing the total investment to $4.4 billion in just three years, and leading to the second replenishment of our $1.0 billion repurchase program this year alone." The company reported net earnings of $1.71 billion, up from $1.33 billion reported one year ago. On an adjusted earnings per share basis, the company reported profit of $2.36 per share, surpassing the $2.32 per share that analysts predicted. The Miami-based cruise line's profits for the second quarter were impacted by higher fuel costs. Looking forward, the company expects these costs to continue to impact its earnings. As such, the company announced that it expects its fourth quarter earnings to fall between $0.65 and $0.69 per share, falling short of the $0.73 per share expected by analysts. Carnival Corporation (CCL) shares ended the week at $63.76, down 4.7% for the week. Bed Bath & Beyond Inc. (BBBY) announced quarterly earnings on Wednesday, September 26. The home goods retailer's earnings and same-store sales fell short of Wall Street's expectations, causing shares to plummet more than 23% to their lowest level since 2000. Revenue for the second quarter reached $2.94 billion. This is relatively unchanged from revenue figures reported during the same quarter last year and is less than the $2.96 billion in revenue that analysts expected. "[Our] net earnings per diluted share were in line with our model and our net sales were slightly below our plan," said Bed Bath and Beyond CEO Steven Temares. "We are investing in and managing the business with the focus on transforming our Company and reestablishing earnings growth. The investments we are making and the different levers we are pulling across many areas of the organization are intended to drive the long-term profitability, recognizing that these actions may negatively impact sales and profitability in the short term." Bed Bath & Beyond reported net earnings of $26.99 million, which is less than last year's second quarter earnings of $94.23 million. On an adjusted earnings per share basis, the company posted earnings of $0.36 per share, falling short of the $0.50 per share that analysts predicted. The retailer's physical locations have struggled in recent quarters as consumers continue to gravitate toward online mega-retailers, like Amazon, for their home goods purchases. Bed Bath & Beyond saw its same-store sales fall 0.6% in the second quarter, which came as a disappointment to investors who were expecting to see same-store sales grow 0.3%. These results, coupled with the company's earnings miss, caused the company's shares to lose nearly a quarter of their value by Thursday morning. By mid-morning on Thursday, the company's shares had dropped nearly 34% year-to-date. Bed Bath & Beyond Inc. (BBBY) shares ended the week at $15.00, down 20.6% for the week. The Dow started the week of 9/24 at 26,705 and closed at 26,458 on 9/28. The S&P 500 started the week at 2,922 and closed at 2,914. The NASDAQ started the week at 7,939 and closed at 8,046. Yields on U.S. Treasury bonds fell on Friday following the release of inflation data for August. Earlier in the week, the yield curve flattened to weekly lows after the Federal Reserve decided to raise interest rates for the third time this year. On Friday, the most recent data for the Fed's preferred inflation gauge, the core personal consumption expenditure (PCE), revealed that inflation was stagnant in the month of August. After rising 0.2% in July, the PCE remained unchanged in August. Economists were expecting to see a 0.1% increase. "No one disputes the fact that the U.S. economy is strong, steady, and could have legs well beyond anyone's forecast, the question remains: if inflation continues to flat line, does the Fed begin to do harm by continuing to raise rates?" said Kevin Giddis, head of fixed income capital markets at Raymond James. "Time will only tell and the state of the market isn't all wrapped up in just the Fed, there are other things to watch as well." By mid-morning trading on Friday, the yield on the 10-year Treasury note had dipped to 3.046%. The yield on the 30-year Treasury bond hovered around 3.183%. Bond yields move inversely to prices. Earlier in the week, the Federal Open Market Committee raised its benchmark short-term interest rate by a quarter-point and announced that an additional hike is expected before the year comes to a close. The Fed also signaled that it could continue to raise rates into 2020. Following the Fed's announcement on Wednesday, the gap between the two-year and 10-year Treasury yields narrowed to its lowest level in a week, flattening to 23 basis points. "Our economy is strong," said Federal Reserve Chairman Jerome Powell on Wednesday. "Growth is running at a healthy clip, unemployment is low. The number of people working is rising steadily, and wages are up. Inflation is low and stable, all of these are very good signs." The 10-year Treasury note yield closed at 3.05% on 9/28, while the 30-year Treasury bond yield was 3.19%. Freddie Mac released its latest Primary Mortgage Market Survey (PMMS) on Thursday, September 27. The report revealed that mortgage rates rose for the fifth consecutive week and reached their highest level in over seven years. The 30-year fixed rate mortgage averaged 4.72% this week, up from 4.65% last week. During this time last year, the 30-year fixed rate mortgage averaged 3.83%. This week, the 15-year fixed rate mortgage averaged 4.16%, up from last week when it averaged 4.11%. Last year at this time, the 15-year fixed rate mortgage averaged 3.13%. "The robust economy, rising Treasury yields and the anticipation of more short-term rate hikes caused mortgage rates to move up," said Sam Khater, Chief Economist at Freddie Mac. "Even with these higher borrowing costs, it's encouraging to see that prospective buyers appear to be having a little more success. With inventory constraints and home prices starting to ease, purchase applications have now trended higher on an annual basis for six straight weeks." 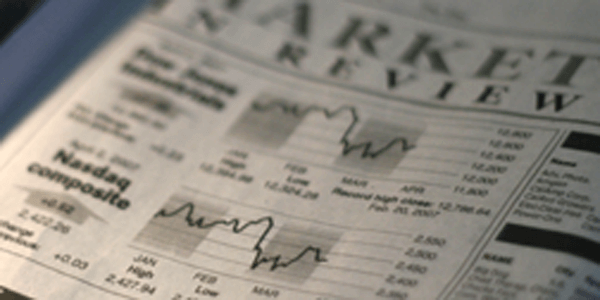 Based on published national averages, the money market account closed at 1.24% on 9/28. The 1-year CD finished at 2.57%.